As seems to always be the case these days us Arsenal fans are having to face the spectre of talismanic club captain Cesc Fabregas being lured away from the Emirates by boyhood club Barcelona. If you compare the stance of the club this Summer with that taken in previous years it does look as if the end could well be nigh for Fabsters 8 year tenure at the gunners, that is assuming of course that Barcelona are willing to cough up more than the £2.50 and some Panini stickers they are currently offering. The big question is of course who would / could be the best replacement for the talented Spainard, will it be one of Wenger”s homegrown wonderkids or will “Le Prof” be forced to break the habit of a lifetime and spend big in the transfer market. Young, superbly talented and no fee to pay….on paper Jack Wilshere would seem to be Arsene Wenger’s dream signing, throw in the fact that he is already an Arsenal player and firm fan favourite to boot and it would seem that Jack Wilshere is the perfect man to take on Fabregas’ role within the team. Over the past season Wilshere has emerged as a tenacious box-to-box midfielder like former Arsenal legends Patrick Vieria and Emmanuel Petit, albeit a much more technically gifted midfielder than either. The only downside for me is if you replace Fabregas with Wilshere than who do you replace Wilshere with, that is how important this young lad has become for the Gunners. Following what has been his best season to date in an Arsenal shirt I personally will be more than a little saddened if want-away Frenchman, Samir Nasri, manages to secure a move from the Emirates this summer. I think he has the quality to be a really great player for the club and rather than adopting the role of the pantomime villain this Summer (NasriBayor anyone?) I for one think he should be focusing on showing the World just how good he can be, especially as it was only really half a season that he managed to shine for and after Christmas looked rather lacklustre on occasion. With the impending departure of Fabregas and the arrival of new boy Gervinho should Nasri stay he would be well placed to earn himself the spot in the centre of midfield that he craves and could one day find himself mentioned in the same breath as club heroes like Dennis Bergkamp or Thierry Henry. Surely that is preferable to joining the likes of Adebayor or Ashley Cole? A World Cup winner and a great attacking midfield option, Xabi Alonso can play anywhere in the middle of the park and impress greatly. His price wouldn’t be terrible either; Real always sell their players on the cheap to make room for shiny new ones. 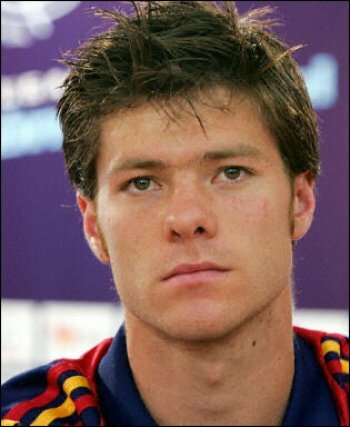 Turning 30 this November, Xabi Alonso would have the age and experience that the Arsenal midfield sometimes seems to be crying out for. Tipped by many as the man Arsene Wenger had lined up to replace Fabregas should he leave Danielle De Rossi would truly be a World class signing for Arsenal fans to get their teeth into. The 28-year-old, who has made over 350 appearances for Roma, has less than a year to run on his current contract, and the clubs new owners are desperate to tie him down to a new deal before he is able to sign a deal with another club in January leaving them high and dry. 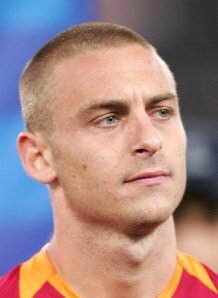 I would love to see De Rossi in an Arsenal shirt and should he fail to sign a deal with Roma this just might happen, but not until next Summer as I just can’t see Wenger spending money on a player he knows he can get for free later, Chamakh anyone? Having recovered from the horrific injury suffered at the hands of Ryan Shawcross, young Welshman Aaron Ramsey, rounds out the list of possible replacements from within the club. Ramsey has adapted quickly to the Arsenal style of play and can become an Arsenal great, especially when you consider the fact that he is much more mature than pretty much everyone his age, a testament proven by the fact that he is Wales’ captain—the youngest player in history to captain Wales—and one of the youngest national captains in history. After coming back from injury, Ramsey was almost instantly back to his best form, scoring against Man United and helping Arsenal win their first game in two years against the Red Devils. He has continued his rich run of form in pre-season where his determination and skill has marked him as one of the stand out players during Arsenal’s friendly matches. If internet rumour is to be believed we have more than a passing interest in Mata and have even gone so far as to make a £17.5 million bid which cash strapped Valencia have rejected. I seriously hope that Wenger digs a little deeper and ups his bid as Mata is a very tidy player who can play either out on the wing or through the middle. His passing seems to be good and with a decent return of goals, 33 in 129 appearances for Valencia, it looks like he could be the sort of midfield option we have sometimes lacked since the departure of the free scoring Pires and Ljungberg. Until seeing Gervinho play I did wonder if we had signed the wrong Lille player, (luckily that isn’t the case) the tricky young Belgian international would suit Arsenal’s style of play, and he would complement players like Nasri and Wilshere on the pitch wonderfully. 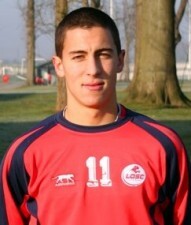 Sadly Lille aren’t interested in losing their star player just yet and even if they were a reputed transfer fee of well over £20 million would probably make this a most un-Wengerlike signing. 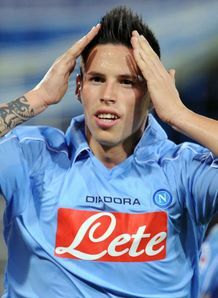 At nearly 24 years of age Marek Hamsik would be a fantastic addition to the Arsenal midfield. He is a really classy player who could would add some real creative spark, something the side lacked on occasion when Fabregas was absent last year. Another plus side is that he looks strikingly like Frankenstein’s monster and would most likely strike fear in the hearts of opposing players… handy for the likes of Stoke and their team of lumbering inbreds. Should Arsene Wenger decide that he needs to look outside the club to replace Fabregas then many people think he could do a lot worse than to consider a bid for French international Yoann Gourcuff. His ability to split a defense in half, along with his technique and his eye for goal, would make him the perfectreplacement for Fabregas and a perfect signing for Arsenal. Gourcuff is one of the most talented players on the planet, but he has never had much of a chance to really shine and is almost always away from the spotlight. If any coach could bring out the best in him and make him into the superstar he could be it is Arsene Wenger. That said Wenger would have to nearly double the current transfer record at the club in order land his man and I’m sure I am not the only person who just cant see that happening. Fiorentina and Italy midfielder Riccardo Montolivo is widely regarded for his excellent passing and vision, there have been some concerns in the past regarding his mentality and lack of character, but we are hardly talking Joey Barton here.